2511 - Ctrl+Shift+6+x doesn't work. So I telnet into the 2511. Telnet from there into another device. Try to Ctrl+Shift+6+x to get out of the telnet session with the other device. Doesn't work. I keep pounding on the X while the other three keys are held down - nothing. Command Prompt, TeraTerm, openSUSE's terminal, SecureCRT. I've tried different keyboards, as well: My logitech wireless and a Razer Blackwidow keyboard. I checked my 2511 configuration for the escape-character output, I even put it in myself just to make sure. "escape-character BREAK" for line vty 0 4. 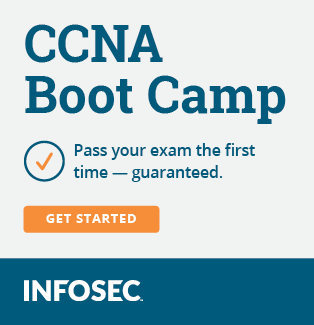 I saw a post like this in the ccnp section about 2 weeks ago. I think you should try to press the crtl+shift+6 | release them all, then push the X.
if it does not work I will trade you my sweet working 2509 rj for your 2511. Is yours an (rj), or does it use the Octo cable? If you really want to tweak your 2511 and never press all those dang buttons like that: search here how to get more than six tabs open in crt. Also if you google that you will find some more secret recipes. I did that method it took me about 3 days but it is way cool! (the method using the console cable, is reverse telnet; what you want, is to just use your transever to telnet or ssh straight on in. No reverse telnet then you need to do that C+S+6 | X). That's the worst thing about it - My macro button is setup to press "Ctrl+Shift+6" with the press of one single button. Would've thunk that after pressing it over, and over, and over... something would've said "Hay, this guy wants to leave the telnet session!". I'm using my Black Widow when I got tired of pounding out the key combo, setup a macro, and now I just press 2 buttons, instead of four. Yeah, I'm rocking the 2511-RJ. I make my own cables and didn't want to mess with Octal cabling going bad! I seen one on ebay that was missing the connector tab, for example. If a cable goes bad, I can just replace the cable and make it any length! I already bought all the memory upgrades from CertificationKits, they're coming in the mail as we speak. I'm hoping that once I upgrade the IOS it may solve some problems. This is the way It works now: Telnet (22.0.0.1) into 2511 I]Patch Cable Ethernet AUI[/I > Consoles into the R1/R2/S1/S2 I]Roll Over Cable using old Blue Console Cables[/I. I have multiple windows open for each device, but I don't really have an option to do it all in one window. I know I wanted it the former way (One per Window), but without rocking multiple higher-Res monitors, it's a damper. And Yeah, SecureCRT is awesome. I guess this makes sense as you can open multiple sessions with Telnet. While Consoling, there's only one console session. the top access server IOS does the trick for our tired 20 year old gear. I had all kinds of trouble before I bought the mem upgrades. Now with the MEM, & IOS, upgrades, the initial boot up for all the devices takes so long your tempted to begin trouble shooting,,,,. Its not like, say, trying to play Halo4 on a 1998 pentium 4 rig, berly able to run Half Life. CRT, it's all that! I got 18 total real devices conneted in one crt window. (8 devices aren't mine, they an online rack). Yeah I hear YA about building our own cables for sure! I wish they had the little plastic boot/shield for the flat cables. Well, saving the configuration is definitely a lot slower than I was used to, which prompted me to bust open my credit card and say "Memory". Ever since my first computer I've always maxed the memory of everything. Memory is cheap. I'm glad that the memory should help the problems. I would love to see Halo 4 come out for the PC. I don't really want to buy an Xbox to see why/how Master Chief is still alive. Actually, Im going to be using Ubuntu instead of Secure CRT. It's free, and I can split the terminal into multiple sessions to see everything at the same time! Woot! I've had issues with both SecureCRT and Terminator - this is just free. do you run ddr3 rigs? I am still running ddr2 rigs I am maxed out with 8gigs on each of mine. I am not saying I have an xbox LOL, I spend my money on cisco gear, server gear, and exam fees. HaHa I can't even play any of my emulated PS2, PS3, or Xbox games on the PC anymore; no more time for that. I am trying to learn how to program the ASA 5520, and do routers n switches. I can't remember offhand anymore. I've been looking to upgrade my motherboard and get some more ram. I do like to play games a little bit - Civilization 5. I downloaded Gods and Kings expansion pack - and I really like it. They just recently fixed the problems with their fall patch for the game. I wasn't able to play this game for a long while. Update: Got my Memory and Flash today. - Verify that the two 8 MB partitions are now as one large 16 Mb partition. Much better with the IOS and Memory upgrades.